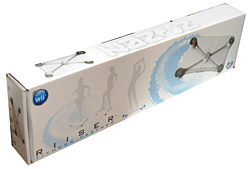 Wii Fit : Riiser for the Nintendo Wii Balance Board - SHOP01MEDIA - console accessories and mods, retro, shop - One Stop Shop! The Riiser for the Nintendo Wii Balance Board improves your step aerobic workout.The Riiser for the Nintendo Wii Balance Board improves your step aerobic workout.The Riiser is a stand that you put under your Wii Fit balance board. It brings the top of the wii fit up to a full 4 inch height (10.2 centimeters), which is the standard height for step aerobics. When you are performing step exercises on the Wii Fit minigames, you will get a much better workout. 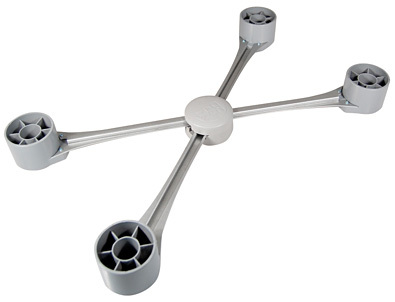 Made from sturdy steel with plastic feet. X shape closes for easy storage. NOTE! New upgraded inserts are included!